You Can Dance – re-released on vinyl for the first time in 30 years. The Record Store Day version was pressed on red vinyl and included the obi strip, custom hype sticker and folded poster. 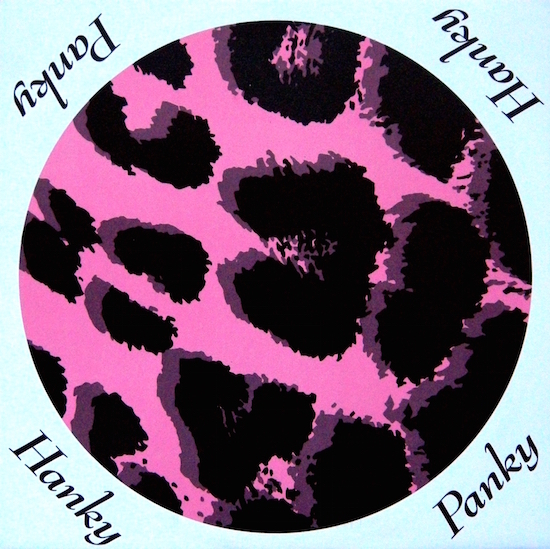 The First Album – re-released replica of the Japanese picture disc, repressed for the first time since 1987. 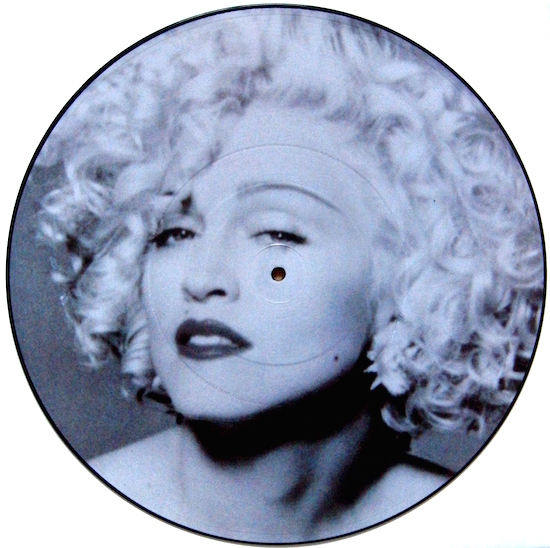 Originally part of a 3-picture disc reissue set along with Like A Virgin and True Blue. Includes lyric insert notes in English and Japanese. 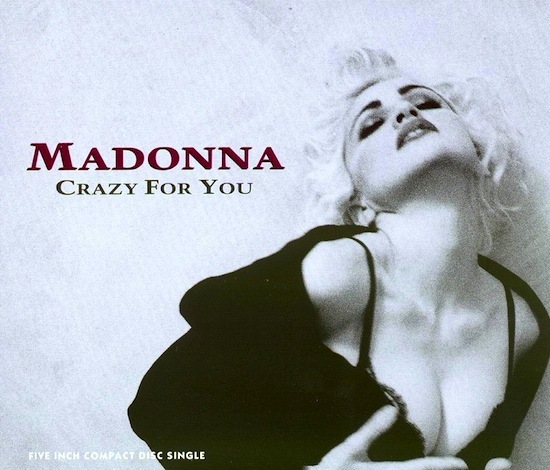 On February 24 1991, Madonna’s Crazy For You was re-released to promote The Immaculate Collection in the UK. 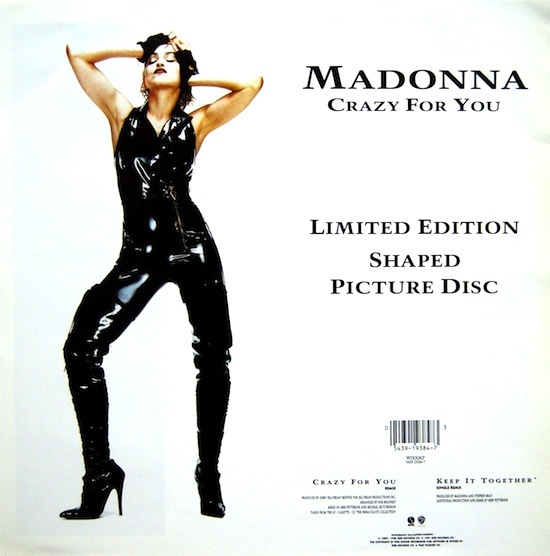 The song was originally released in the United Kingdom on June 8, 1985, it debuted at number 25 and peaked at number two. The re-release again reached a peak of number two. 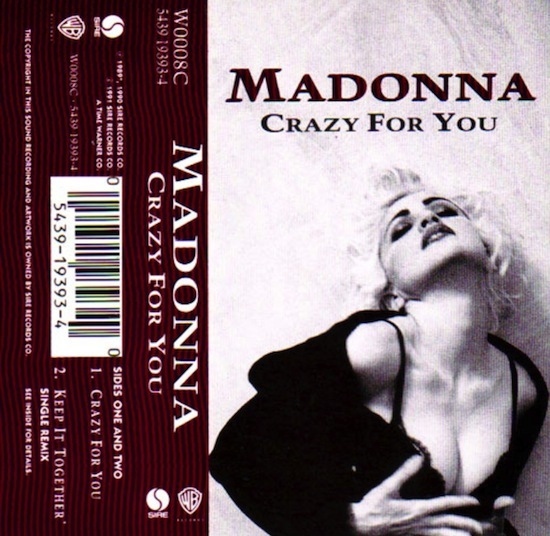 The CD single included remixed versions of Crazy For You, Keep It Together and Into The Groove. On January 9 1988, Madonna’s hit single, Causing A Commotion (from the Who’s That Girl soundtrack) enjoyed it’s final week on the Billboard Hot 100 chart (at position #98 after 18 weeks on the chart).